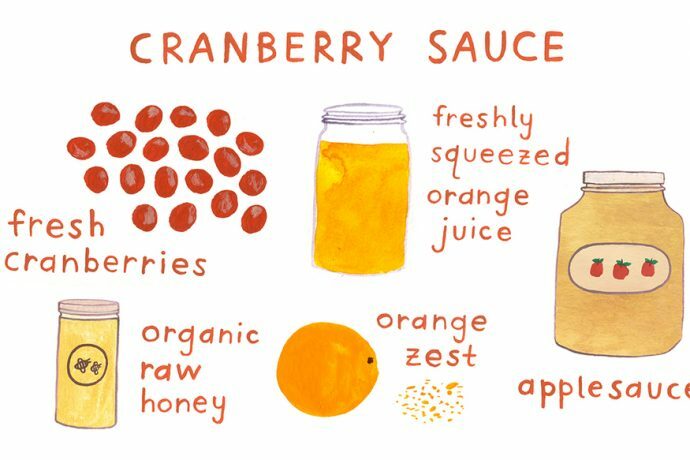 In a large sauce pan or pot, place the cranberries, applesauce, and a glass of freshly squeezed orange juice and bring to a boil. Stir constantly until the cranberries begin to pop. 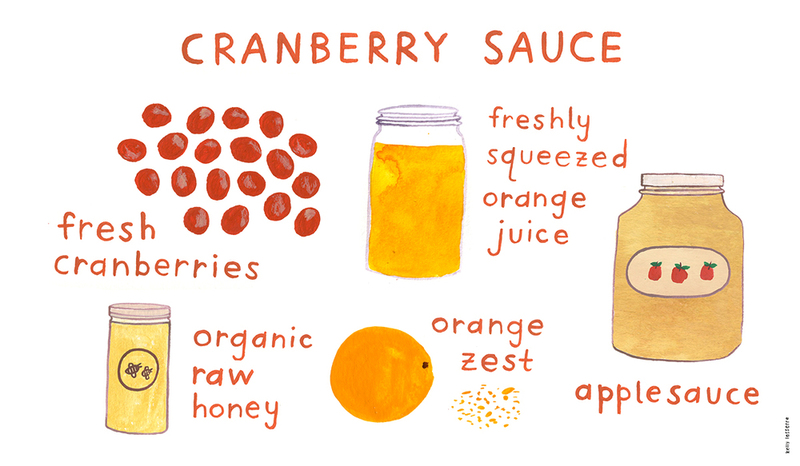 Reduce to a simmer and pour in juice and zest from oranges, and add in raw honey. Simmer for 15 minutes and remove from heat. Cool for at least 4 hours before serving. Serve with garnish of orange zest or spirals of orange rind.